An inventive yet unfussy, modern British a la carte menu, showcasing the best seasonal produce from the UK and Europe, accompanied by a carefully curated wine list. I feel very relaxed and well-looked after when at Lorne. The food is superb, the atmosphere jolly and unfussy, the service attentive and friendly, and the sommelier authoritative. Thank you Katie and team. A restaurant for all seasons! Behind the modest street facade is a pleasantly decorated, comfortable and quiet room in which superbly cooked food is served. The spring lamb dish with ratatouille  is to die for. Highly recommended! Restrained, well judged and very good. Perfect for lunch. Great meal, thanks! Service was excellent and I love that you save energy and reduce by serving water that has been filtered in house. Really enjoyed our meal and plan on returning next time we are in the UK. Lovely food and restaurant. We were squished into a corner a bit but ultimately not a problem and we were a large party. Celeriac veloute with smoked haddock was dreamy. Lovely food. particularly recommend the artichoke and asparagus starter. Wine suggested went beautifully with the food. Service was perfect. Will definitely be back. Service was perfect, food was excellent. Felt the chicken dish was a touch bland and lack of any colour made it uninviting. My Americano with milk had a bitter uncoffee like flavour. Quale starter and apple and almond dessert were superb. Delicious food, lovely service and a relaxed ambience. Really great meal and service was excellent. We'll be back. As a long term resident of Pimlico I am absolutely delighted to have such an excellent new local restaurant! The set lunch was good value for money. And the wine list also provided a good choice of less expensive bottles - the Sangiovese for example. It is great to see a new classy restaurant open in Pimlico. As a local this will likely become a regular destination. A really lovely experience - relaxed, friendly, unpressured and delicious food, wine (and oil!). We'll be back! Very enjoyable food; attentive but unobtrusive service; and the restaurant area is bright and comfortable (I'm not sure I'd be interested in the bar stool area, though). Slightly expensive for the area. The food and wine offering are both excellent. Interesting and well executed dishes. Service lovely and friendly but a little stretched perhaps- e.g. Asked for bread with terrine twice, but it never came ( actually not a problem as the terrine was superb!!). Will return happily in the future. Very well presented and tasty. Celeriac veloute and cuttle flush fabulous. Hogget superb taste texture. Chicken not so good (bland)but the onion tart and roasted cauliflower wonderful. Too full for pud this time. Wines really well chosen by staff . Token payment filtered water a good idea and appreciated. In all very well done to all chef and staff. Lighting and ambience just right. Spectacular value. Exciting yet approachable menu, service was attentive and down to earth. Great wine list too. Thank you so much for having us, will be back! Excellent food, drinks and service. Will return again very soon. Very good wines and superb food. Sweetbreads lovely in themselves, but the spring vegetables made them very special. Hogget very tasty as well. 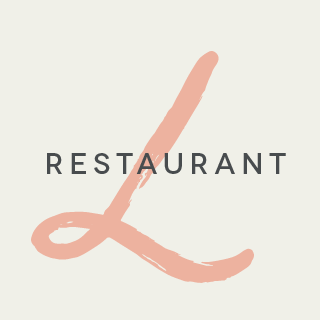 This restaurant serves really good food, quite clever and delicious.The restaurant is relaxed and friendly but with knowledgeable and efficient staff in the heart of Victoria. We had a great dinner, the food was excellent, very reasonably priced. The service was attentive,  very professional and warm. Not just a neighbourhood gem, but a great addition to the London dining scene. Great service to match great food and wine.